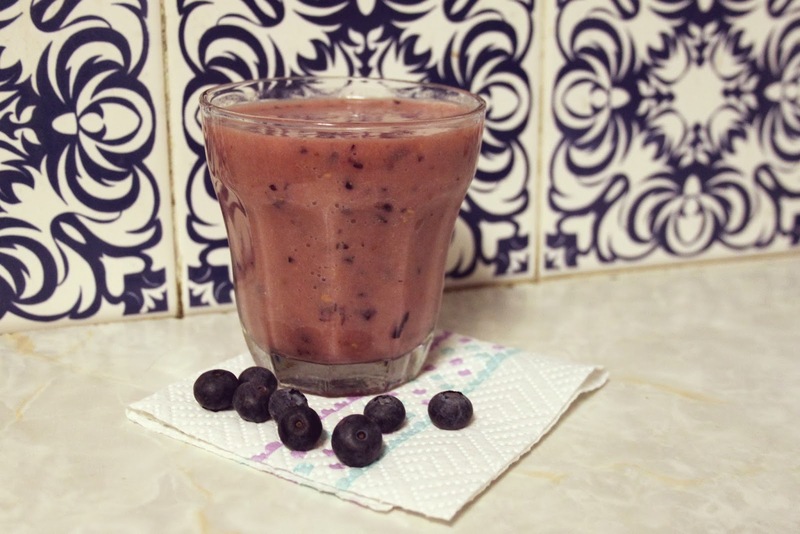 My week of making smoothies as part of the #AlproAM campaign has come to a close, so it’s time to show you part two of my smoothie challenge, complete with recipes! If you didn’t catch what I made for the first half of the week, you can read the post here. As I mentioned in the last post, the idea of the challenge was to make a smoothie for breakfast every day for a week, using Alpro’s new Almond Unsweetened milk in order to put a spring in my step and liven up my mornings to keep the January blues at bay. I really got in to it after a couple of days, and I think you’ll be able to see that I started to get a lot more adventurous with my flavour combinations in the second half of the week, making a nice change from the usual berry and banana mixtures. One of my favourite fruits are nectarines, so I wanted to see how they would work in a smoothie. I blitzed two up with a handful of some summer berries and my almond unsweetened milk and was really impressed with how tasty it was! The nectarines were quite tart so it did need a teaspoon of sugar in it, but I think that just depends on the fruit itself at the time! 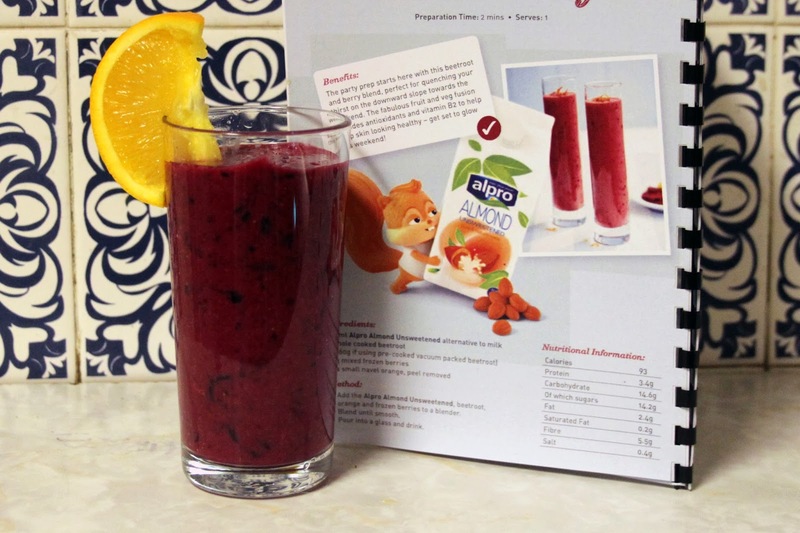 Along with my milk, Alpro sent me a little smoothie recipe book full of delicious ideas. I spotted a recipe in there using a red pepper and was intrigued, so I put my own spin on it and rustled up a red pepper and raspberry. I used an Italian sweet red pepper as a pose to the usual bell peppers and put it under the grill until the skin started to blacken. I then set it aside to cool a little before removing the skin and roughly chopping it. I blended it with a big handful of raspberries and roughly 50g of vanilla yogurt, then finished off with my almond milk. The texture was really nice and silky with the addition of some yogurt, and it tasted so lovely and sweet. I’d definitely recommend this one if you fancy something a bit different, plus it’s a great way to get some more veggies in your diet without really feeling like you are having them, if you get what I mean! Today was the final day of the challenge, and feeling a little more adventurous after yesterday’s experiment with vegetables, I reached for the Alpro smoothie book again and picked out this beetroot and berry smoothie. I didn’t have all the ingredients that the recipe suggested, so I just stuck to cooked beetroot and a good handful of blueberries with some juicy orange. The recipe asked for Navel orange, but I just used regular and it seemed to work fine. I simply blitzed everything together with some of the almond milk, et voila! This was another really unusual but tasty concoction, a lot nicer than you would expect. The only thing I found with this one was that after a short while it started to almost solidify and go to a sort of jelly consistency on top, but I think that might have something to do with the amount of milk I put in, as I didn’t use the full 200ml! Still, tasty nonetheless! So my verdict? After making a smoothie every day I can definitely say I’m feeling a lot healthier and energised, and have managed to get a lot more of my five a day into my diet. I’ve loved using the almond milk not only in smoothies, but also in my cooking too for a really nice delicate flavour! I’ll definitely be making more smoothies and be buying the almond milk in the future. It is a neccessity for Saturday morning pancakes! Thanks to Alpro for providing me the products to help me take the #AlproAM challenge. I’ve really enjoyed it and would recommend you all to give Alpro milks a whirl. 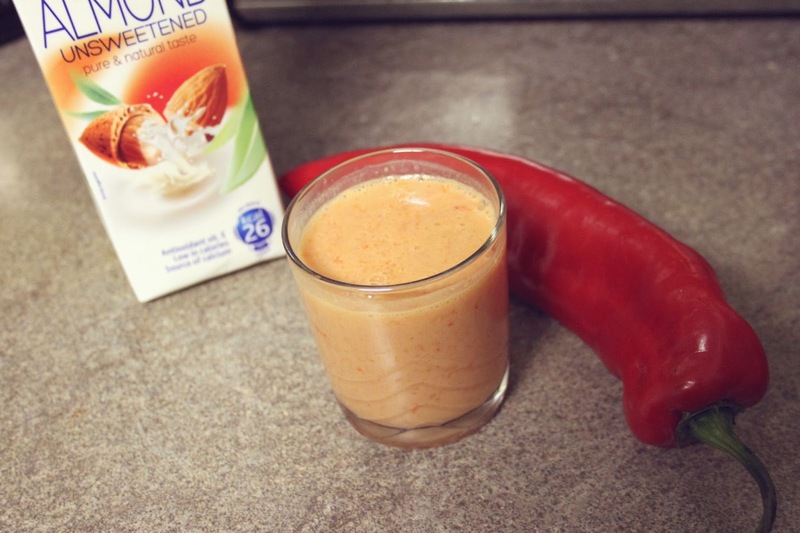 Have any of you tried Alpro milks in your smoothies? Which recipe would you most like to try? "WEEKLY WISHLIST: IN LOVE WITH FASHION ( PLUS A GIVEAWAY!)"